You can never get good coffee on a plane. The tea is tolerable, but the coffee isn’t. 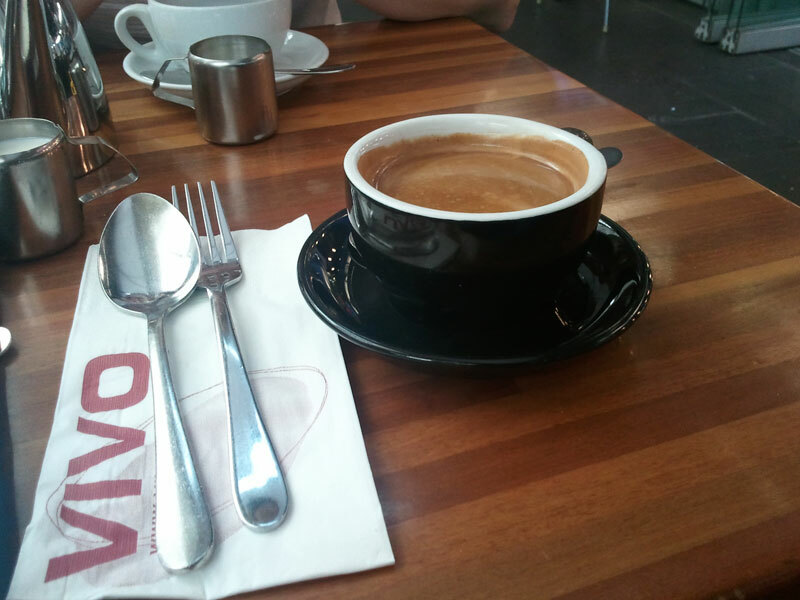 Thus, the first thing I looked for after leaving my bags in the hotel was a decent cafe. 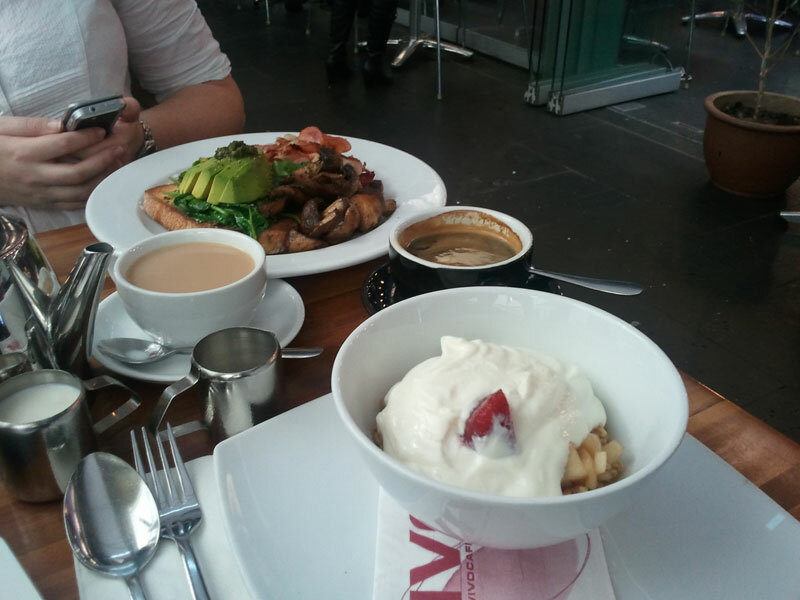 It wasn’t just for coffee; Qantas’ breakfast was only slightly more adequate than their tea. 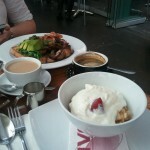 As it was a Friday, and the hotel was just on the edge of Sydney’s CBD, finding a cafe wasn’t hard. 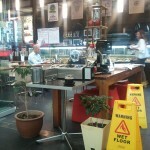 And this is why I am writing about a coffee from VIVO in Sydney. 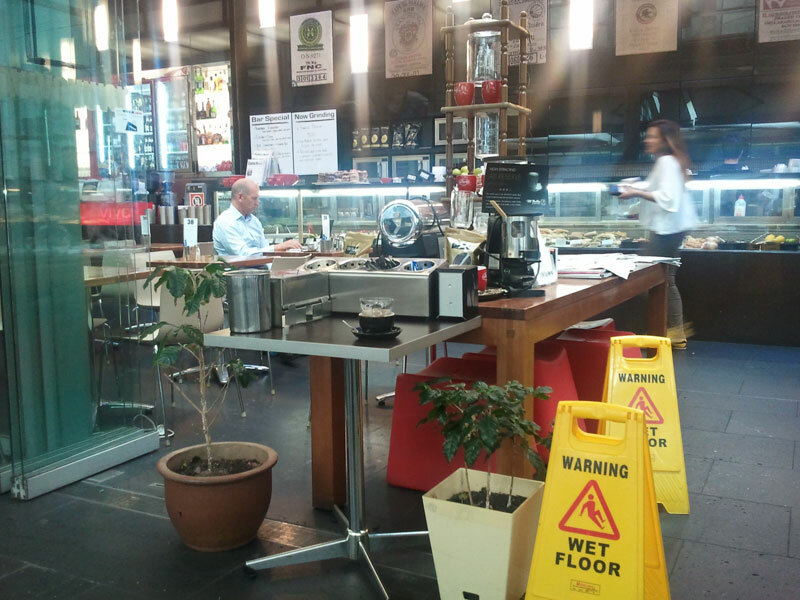 Like many Brisbane CBD cafes, VIVO had a lot of glass, seating both inside and outside and food, with the main difference being that it’s bigger than most cafes found in Brisbane’s CBD. 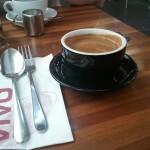 They also use a recognisable (and Brisbane-based) coffee brand, Di Bella. The coffee was strong and had a good crema. Due to the amount of tea my girlfriend received, I had two coffees while I waited for her to finish. The food was also good; I had a tasty and generously portioned bircher muesli and they were more than happy to swap the eggs for bacon on my girlfriend’s order. The cafe also has a WiFi hotspot which worked as well as any other free WiFi I have tried, and the only thing I was lacking was somewhere to charge my phone. But I don’t know of a single cafe that offers that, which is a real shame.